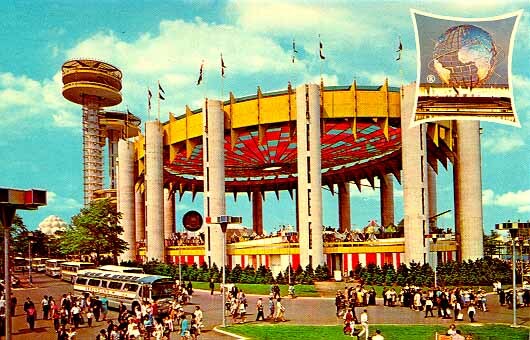 Here’s a great picture of the New York State Pavilion, which adorned the 1964 World’s Fair. It featured three observation towers, with capsule elevators that carried guests to the top level. Underneath it was the Tent of Tomorrow, adorned with many colors. The floor held a map of New York in tile. Around the map were situated several exhibits. Really, though, I just love this picture. The idea is cool and all, and capsule elevators are pretty cool too, but this picture just really grabs me. Taken from this page, from which I also got most of this information.